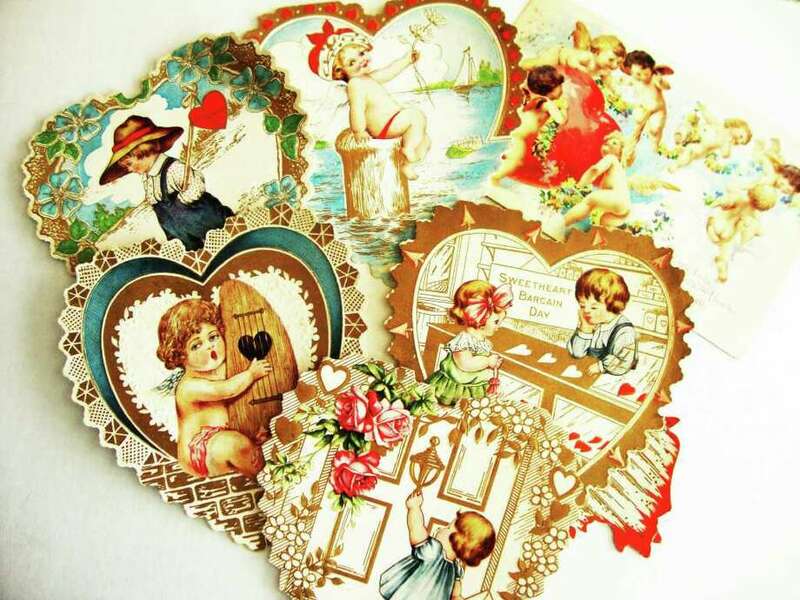 Pictured are some of the vintage Valentine's Day cards and postcards currently on display in the lobby of the Fairfield Public Library. It's Valentine's Day, the weather is warming from this winter's onslaught and a hint of romance is wafting through town on today's brisk breezes. So do something holiday appropriate and take in the pretty display of vintage Valentine cards and postcards at the Fairfield Public Library, corner of Old Post and Post roads. The display, in the library's lobby, features colorful cards with heart-felt messages from the early 1900s. Some postcards have postmarks from 1908. Some of the cards are pop-ups with unusual three-dimensional designs. The exhibit will be on display through the end of this month. The cards are from the private collection of the Rodriguez family of Darien.